Council of Ministers formed in Province-7 - Integration Through Media ....! KAILALI: Chief Minister of Province-7, Trilochan Bhatta, has, on Saturday, constituted a seven-member Council of Ministers. 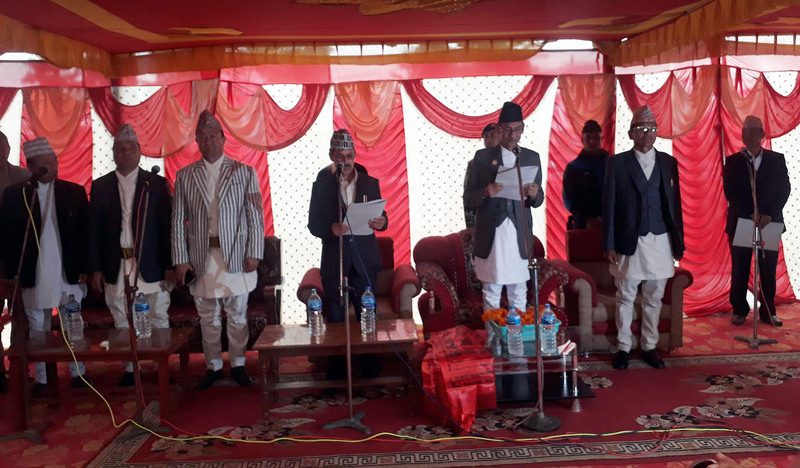 Chief of the Province Mohan Raj Malla administered the oath of office and secrecy to the newly-appointed Chief Minister and other ministers at a function organised at the office of the Province Chief.